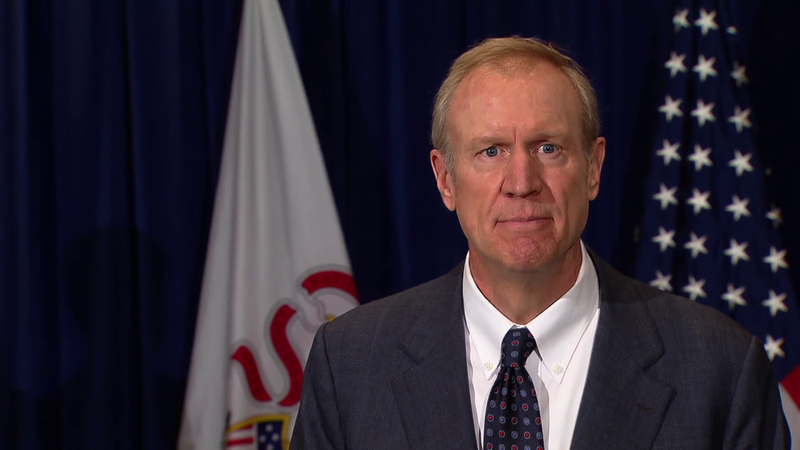 Rauner’s sit-down with WTTW will come after the Illinois Senate on Sunday is scheduled to vote on his amendatory veto of Senate Bill 1—a plan that rewrites how Illinois decides how to divvy up state funding for schools. Until it, or a similar measure, becomes law, the state must withhold funding from schools. On Thursday, Illinois missed sending schools their general state aid. According to Comptroller Susana Mendoza, it was the first time in history that Illinois skipped a general state aid payment. While no district has signaled that it will be unable to open for the coming school year without regular state support, administrators say they’re already scaling back on filling open teaching positions and lower-income districts have warned they could be forced to close programs or shut down should the situation continue to fester. Democrats passed Senate Bill 1, but Rauner called it a “bailout” for Chicago Public Schools and used his veto pen to drastically change it. His version knocks out approximately $250 million for CPS—money which will be spread out to other districts—but at the same time makes changes that that critics say will undercut other schools’ budgets statewide. Separately, and with little fanfare, Rauner’s Department of Human Services on Friday announced on its website that six insurance companies—including Illinois’ largest, Blue Cross Blue Shield of Illinois—beat out other bidders for a four-year contract to manage care for Illinois’ Medicaid recipients. Mendoza and other Democrats, including Rauner foe House Speaker Michael Madigan, had called for the governor to subject the awarding of the lucrative contract to the standard (and transparent, though tedious) state procurement processes. Rauner, a wealthy former private equity investor who had never served in public office prior to his election in November 2014, promised to “turn around” state government. He’s facing no open challenge on the Republican side, but a healthy field of Democrats are vying to take him on. What would you like to ask the governor? Put your thoughts in the comments section below. Aug. 9: School superintendents weigh in on the education battle in Springfield. Aug. 8: The education funding model Gov. Bruce Rauner hopes will replace a new formula he sees as a Chicago Public Schools' bailout contains a “significant error” in how it calculates the value of TIF districts, according to the Illinois State Board of Education.